I have read on the forum that candidates had access to actual past exams for all levels. I tried to locate them on the CFAI website but i could only find level III actual AM past exams. What a bummer! If anyone has them, please drop me a message or reply as to how i can have access to them. You can access using a time machine. What are you asking? Plz contact Paul smith he may help you? 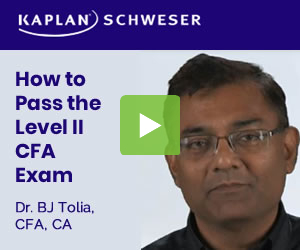 As far as I know, the only actual exams that CFA Institute has ever published are the morning sessions of the Level III exam. Never any of the multiple choice exams. I have the 2018 L2 exam in my head. I remember every question! Many of us do remember the exam questions. Some do write them on paper and it helps them while preparing for the exam, to understand what kind of questions CFAI asks in the exam, if they unfortunately didn’t pass the last time.